Colorado Parks and Wildlife (CPW) will be participating in Operation Dry Water June 27-29, as part of a nationally coordinated effort to reduce the number of accidents and deaths related to boating under the influence (BUI). During this three-day weekend, officers will be on the water reminding boaters about the dangers of boating under the influence and detecting boaters who are impaired. Boating under the influence continues to be major problem nationwide. In fact, the leading factor in boater deaths is alcohol use while boating. 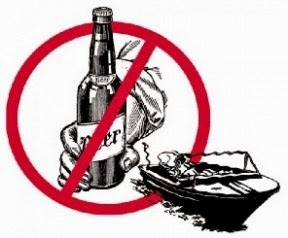 By participating in Operation Dry Water, CPW is doing our part to keep recreational boaters safe and reduce the number of accidents and deaths related to alcohol or drug use. "Our agency encourages boaters to enjoy the boating season with friends and family, and we also encourage you do it in a safe and responsible way," says Kris Wahlers, Boating Safety Program Manager. "Drinking alcohol while on a boat can have serious, even deadly, consequences, and our goal is to make sure everyone is enjoying their time on the water and staying safe." CPW would also like to remind boaters that it’s just as dangerous to operate a boat under the influence of marijuana as it is alcohol and the penalties for doing so are identical. Many lakes, reservoirs and rivers in Colorado are considered public property, so open display or use of marijuana is also illegal. In Colorado boaters whose blood alcohol content (BAC) level exceeds the state limit of .08 can expect to be arrested for BUI and face other serious penalties including having your vessel impounded, payment of fines, jail time and loss of boating privileges. Operation Dry Water patrols will include increased patrols, breathalyzer tests, and checkpoints as well as boater education and outreach, but even with those, the best detection and apprehension of buzzed/stoned boaters begins with fellow boaters. "If you see someone drinking and boating or boating dangerously, please tell us" says Wahlers. "Everyone knows to call 911 and report a drunk driver on the road. The same applies to the water. Drinking is not part of the boating experience; it’s a serious public safety issue and the people at risk are you and your group." Operation Dry Water is a joint program of Colorado Parks and Wildlife, the National Association of State Boating Law Administrators, and the U.S. Coast Guard. For more information on Operation Dry Water, please visit operationdrywater.org.